The medical field has made some enormous strides forward over the past 20 years. An extremely high standard of patient care has been achieved, and the bar only seems to be rising. Many of these advancements have been made possible using technology. Technology has become an indispensable facet of making our patients’ lives better. Things like check-ups, life-saving operations, research, and even basic record-keeping all require the use of a computer. For example, a medication cart with a computer can simplify the day-to-day duties of medical personnel and significantly increase hospital staff efficiency when providing care for their patients. 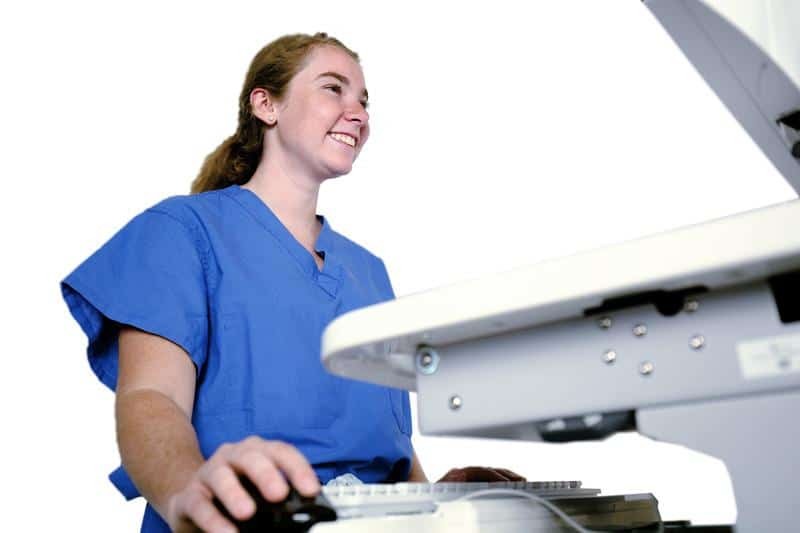 With the help of computers, paraclinical tests have become much easier and more efficient. Just by pressing a button, an x-ray image can be taken and uploaded to the hospital database. If the image needs adjusting, the software can be used to achieve the necessary brightness, sharpness, and color accuracy. Using a computer, multiple two-dimensional cross-section x-rays can be pieced together, providing medical professionals with a multi-dimensional image. Another example of computers assisting with medical imaging is the MRI. Magnetic fields provide insights into a patient’s internal health. The information received is interpreted by a computer and delivered to the examining doctor. Heart rate, blood pressure, respiratory activity, and other vitals can be monitored digitally once the patient is hooked up to a vital sign monitor. These critical computer systems can detect any changes in a patient’s condition and alert hospital staff. With such a large volume of patients entering and exiting medical facilities every day, physical filing systems demand a great deal of time and effort. Computers solve this issue by providing software programs that store and organize files. 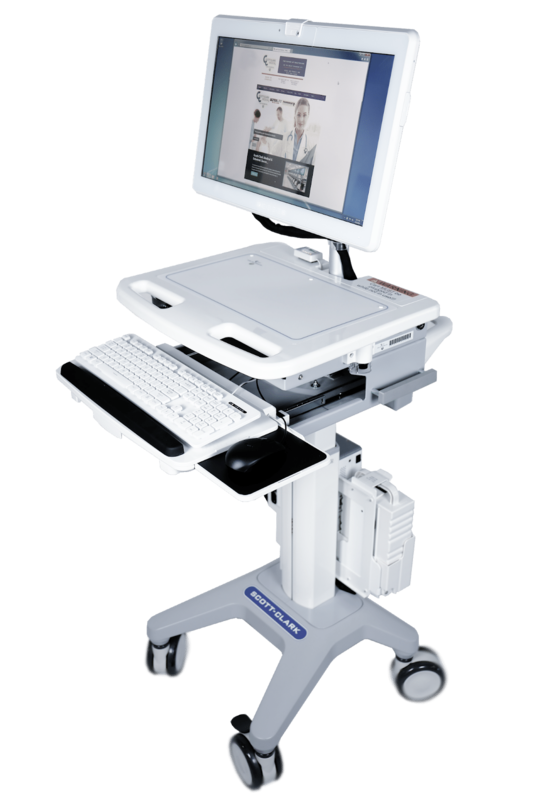 The digital filing also helps to maintain patient privacy, ensuring the safe delivery of information. While searching for cures for medical conditions, researchers liaise with one another and, in doing so, reach advancements more quickly. Networks also allow doctors to seek second opinions almost instantly. In cases where patients cannot leave their home, the option of video conversations with specialists is also made possible via technology. As the population grows, so does humanity’s need for medical specialists. Therefore, the ability to be in more than one place at a time will become crucial. This will mean an increase in doctors performing tasks from a distance, including surgeries. Disease databases will grow as we encounter new illnesses or new strains of current ones. Software used in diagnostics will become more polished, providing accurate information for both patient and doctor. Communication between medical personnel will happen instantaneously, allowing them to deliver quick and concise care. Thanks to the introduction of technology into the world of medicine, a gateway of opportunity has been opened. After many years of integration and improvements, doctors count on computers to assist them in their work. Going forward, relying on technology to solve problems and aid in patient care will only increase. The medical profession’s standard of clinical care only stands to improve as the assistance of computer systems becomes more accurate, functional, and prevalent.